NOTE: This order of service is in a straightforward traditional form, nothing fancy or hip; so it will not appeal to everyone, nor be useful in congregations that prefer more laid back styles of worship–although I think its formality is not stuffy, only serious. Note also that this order of service includes communion, which is a fitting beginning to the season of Lent–food for the journey, companionship along the way, the centrality of Jesus, etc.There is, however, no sermon in this service. What ‘sermon’ there is is in the form of brief introductory reflections and commentary throughout the liturgy. I have preferred to let the rituals of Ashes and the Table take center stage instead of the sermon. The service may seem long and wordy at first glance, but without a sermon, it actually runs about 45-50 minutes, depending on how many people receive ashes and communion, how many ministers may be assisting, and how much time is given to the silences that give rhythm to the section, ‘readings and responses.’ Nearly all the ‘words’–intros, readings, communion liturgy, are also fairly brief, and will move smoothly if uninterrupted by unnecessary directions, such as “Now please stand and join me in singing hymn #235,” No verbal directions at all need to be given if everything is clearly marked, and if the worship leaders lead by confident example, gesturing with gentle movement for people to stand or sit if need be. And on the whole world, peace! and that no one comes to the end of life without having been wounded by the sin of another. Sobered by these things, but not alone, we will make our way through this season with truth and gratitude, until the light of resurrection breaks. Let us begin the journey, then, with Jesus, with each other, and with the whole church everywhere. Now we acknowledge that we are creatures, wonderfully-made. 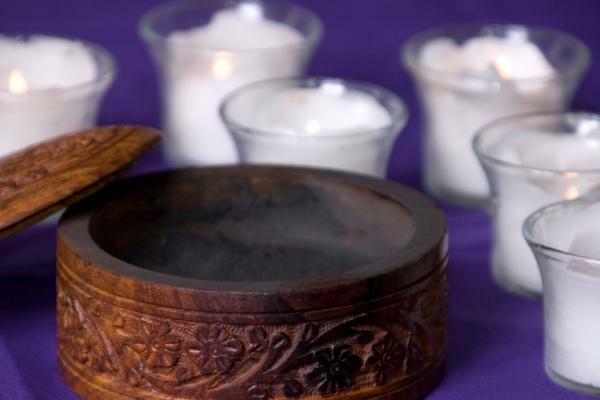 In receiving ashes, we gratefully honor our earthy origins and our likeness to all other creatures; and we welcome God’s sovereignty over all that exits. what are human beings that you are mindful of us? Now we acknowledge that we are discontented creatures; we fall into to estrangement and alienation. We confess too that we are finite creatures, and we will one day die. In receiving ashes, we express our trust that in life and in death, by divine mercy, we shall always be safe in God. Now we acknowledge that we sin, and that we are much-sinned-against; we need forgiveness, healing, and reconciliation. In receiving ashes, we ask God to change our hearts, to make us and others whole, and to help us offer reconciliation in this world. Be attentive to my supplication! If you should count our sins against us, Lord, who could stand? But with you is forgiveness, so that you may be revered. more than those who watch for the dawn. for with God is steadfast love and power to save. Now we acknowledge that Jesus freely chose a life of service that led him to lay down his life in love. In receiving ashes, we humbly follow his Way, and commit ourselves to love kindness, mercy and justice as he did, even if it means laying down our own lives. *Response Hymn What wondrous love is this? Bless by your Holy Spirit, O God, these ashes, this dust of the earth. May all who receive them, and all who look upon them, be moved to repentance and renewal, for their own sakes and for the sake of the suffering world. May these ashes be no empty sign; but by your mercy, may all who bear them live what they signify—your steadfast love for our mortal flesh, your power to save, and your boundless mercy. Praise to you, Holy One! In life and death we belong to you. Remember, [name], that you were made from the earth in the image of God. Remember, [name], that you are dust, and to dust you shall return. [Name], repent and believe the Good News! During the distribution of ashes, there may be a choir anthem (e. g., Senzeni Na?) 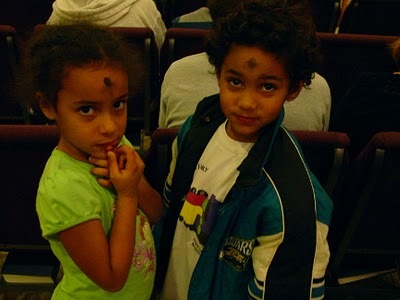 or suitable Ash Wednesday/Lenten hymns of Taize chants may be sung. Please remain seated for the hymn. L: Friends, we have acknowledged before God and in each others’ presence that we depend on God for our lives, that we are sorry for our sins, that we long to be reconciled in the peace of Christ, and that we are ready to turn around and walk in a new way of love. Come now to the table of Jesus, where he presides, our gracious host. Come to the table of Jesus, where he calls us and where he waits for us, eager to heal us, to persuade us of his love, to welcome us with an unconditional welcome. Come to the table of Jesus, where he feeds his friends with wonderful gifts. Come to this table, from which we always arise with a blessing, no longer strangers, not even guests, but children all alike of our merciful God—children safe at home. he took a cup filled with wine, and blessed it. Come Holy Spirit, bless these gifts that earth has given and human hands have made. Communion should be by intinction if possible. During the distribution of the elements, there may be a choir song, suitable congregational hymns or chants, or instrumental music only. a mantle of praise instead of a faint spirit. the plantings of the Lord to display God’s glory. and covered me with a robe of righteousness! to spring up before all nations! Now share with each other a sign of Christ’s peace! The people share the peace and depart. * All who are able may stand. The people’s parts are in bold. This entry was posted in Lent and Holy Week, Liturgy on February 12, 2013 by sicutlocutusest. Beautiful Worship Service! I am using the communion portion this year and may use all of it next year. Absolutely lovely! Thank you for sharing. I cite this website as my source. So, you are getting credit for your work. Many blessings to you! Mary I prepared this as an addition to your beautiful idea, another stanza if you will. Ashes as fertile ground – In the ash we see that once there was fire. In courage we go to the Source, the refining fire of God’s love to be reborn remembering that new life comes again out of the ash left in the aftermath of a prairie or forest fire. In receiving ashes we ask God to bless our souls that in this fertile soil new life may spring forth and become a source of reconciliation in the world. Fantastic! I love it! Thanks….